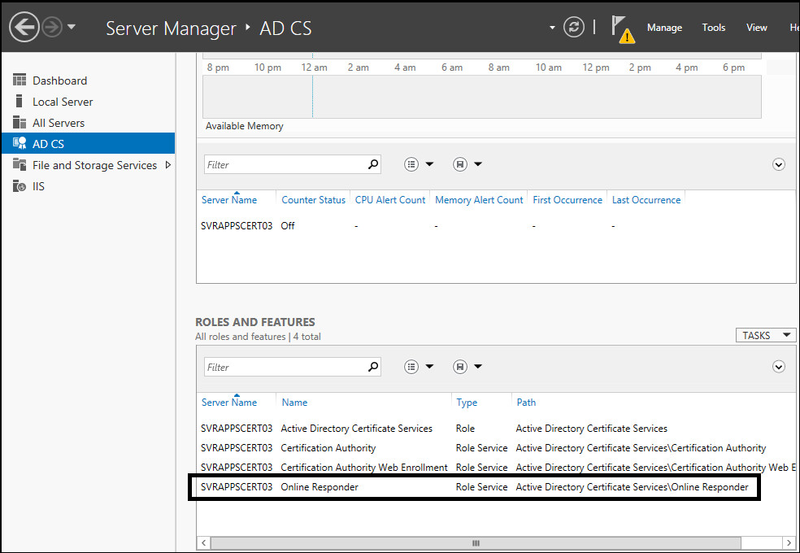 Select Configure Active Directory Certificate Services on the destination server. At Credentials, ensure the server_name\Administrator account is listed, and select Next. At Role Services, tick Online Responder and select Next. Once Configuration succedded is displayed, select Close. When prompted Do you want to configure additional role services, select No. The Online Responder role should be listed in Server Manager. Create an OCSP certificate from template. Right-click on OCSP Response Signing and select Duplicate Template. On the General tab, give the template a name, such as OCSP-2012. 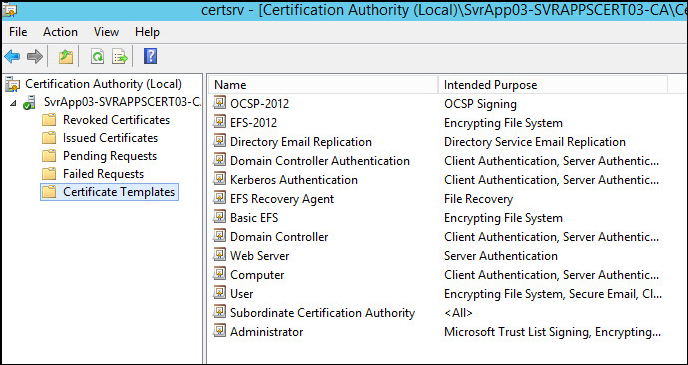 Also tick Publish certificate in Active Directory. On the Security tab, select Add. Next to Set this object type to, select Object Types, and tick Computers. Add the Certificate Server. Highlight the Certificate Server and under Allow, tick Enroll and Autoenroll. In this example, an OCSP certificate named OCSP-2012 was created.